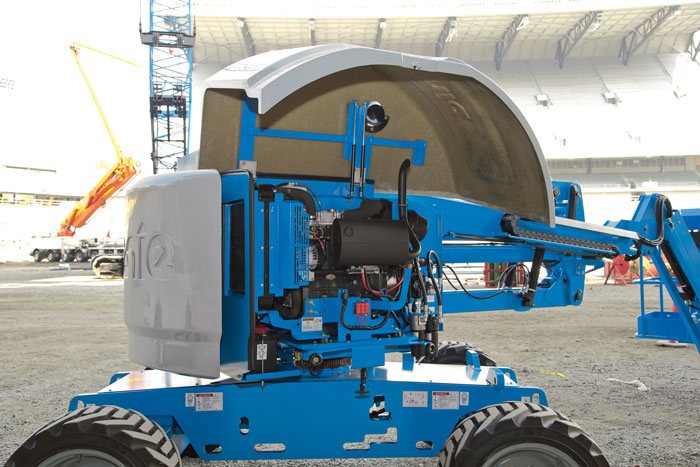 Being a world-class manufacturer of access platforms is about much more than just building machines. Genie also takes sharing good practice extremely seriously, especially when it comes to maintenance. 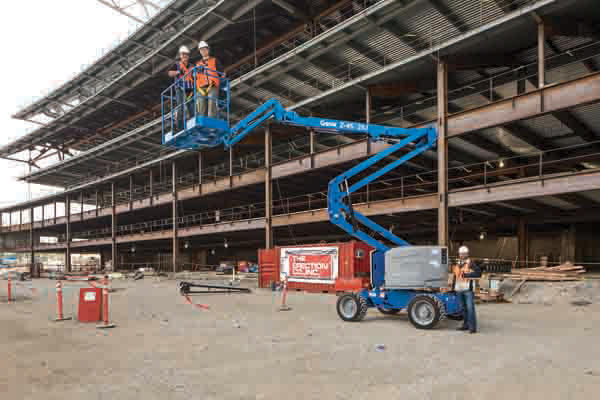 With the help of Genie, we bring you 12 top tips for the proper upkeep of Genie boom lifts, which will increase uptime, productivity and safety. If your inspection identifies any parts or components that need replacing, contact us for a competitive quotation and fast delivery. Examine limit switches for any damage.Damaged limit switches can cause the machine to be disabled or not work properly. Regularly inspect the limit switches – you can find their locations in the operator’s manual. Check that all toggle switches are functioning correctly. If there are malfunctioning switches the functions on the toggles will not work, causing the machine to be down. Remember to check the controls on both the platform and the base unit. Make sure beacons, horns and alarms are in place and working properly. These safety features are there for a reason and should be regularly checked before the machine goes out on hire. Examine the platform’s entry mid-rail or gate, making sure it moves correctly and is also secure. If the gate or entry bar is damaged, you should remove the machine from service until it is fixed. Examine all electrical components, particularly wiring and electrical cables. Wear and tear can cause short circuits, which will impact the machine’s functionality and even prevent it from starting. Look out for damage such as kinked, curly, cut, frayed, or chaffed wires. Check the differential pressure indicator to make sure the filter does not require changing. If it does require changing, refer to your service manual for instructions. If filters are unchanged they will become dirty, it can cause component damage leading to equipment going down in the field. 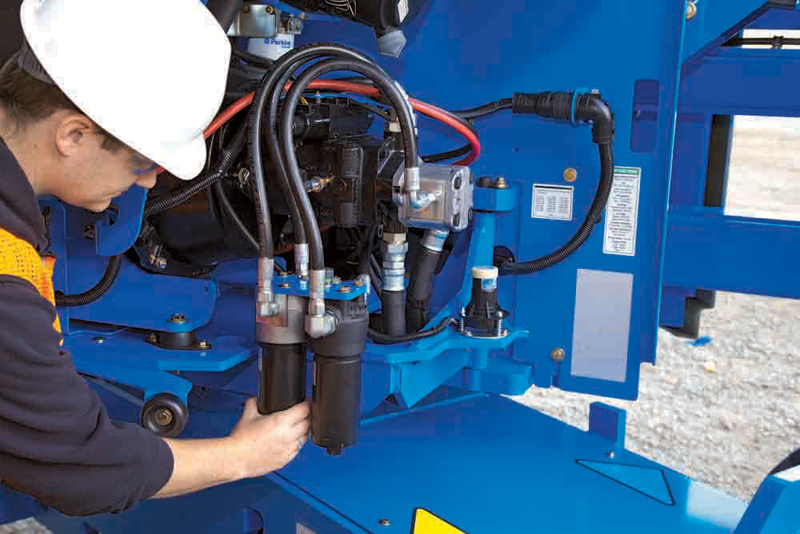 Inspect the hydraulic hoses, fittings, cylinders and manifolds for any leaks or damage. Hydraulic oil is an environmental hazard as well as a safety hazard. If you see any leaks the machine should be shut down immediately. 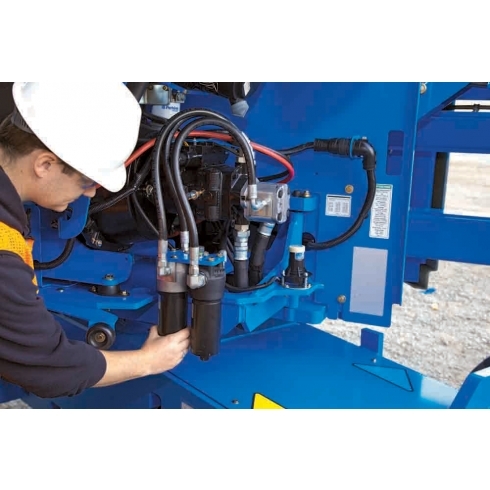 Make sure the hydraulic oil level is correct, as per the operator’s manual guidance. If oil levels are low the equipment will run hot, causing component damage and equipment to breakdown. Look for any damage or evidence of leakage from the drive and turntable motors and drive hubs. If they are leaking or damaged they will not work properly and will not allow the equipment to drive or turn. Check the side walls of all tyres for damage. If your equipment has air-filled tyres, also check and adjust the tyre pressure as per your Operator’s Manual. Bad air pressure can cause the machine to become unstable. Carefully check over the machine for any gaps on nuts, bolts, pins and other fasteners. If these components are loosened it can cause panels, parts, wheels, swing wheels, to fall off, leaving areas exposed to outside elements. 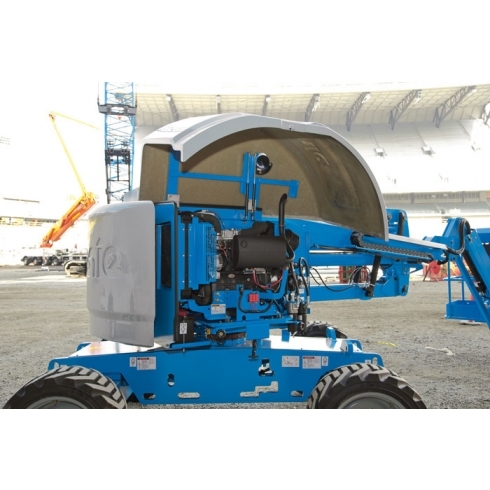 This advice is intended to help you keep your Genie access platform hire fleet in peak condition. The operator’s manuals also contain extensive guidance on this topic. If in doubt, contact us for an expert opinion. 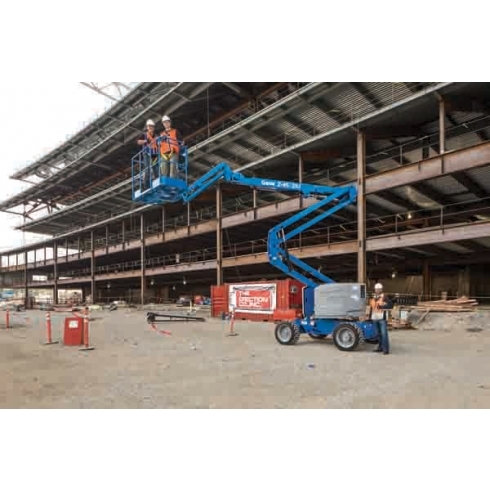 APS is an authorised Genie distributor, selling a wide range of new and Approved Used equipment including Genie material lifts, Genie boom lifts, Genie scissor lifts, and Genie personnel lifts.